Original. The bird with an orange crown dines on seeds and fruit, also insects. And, according to my painting, blue berries Add that one to the history books. 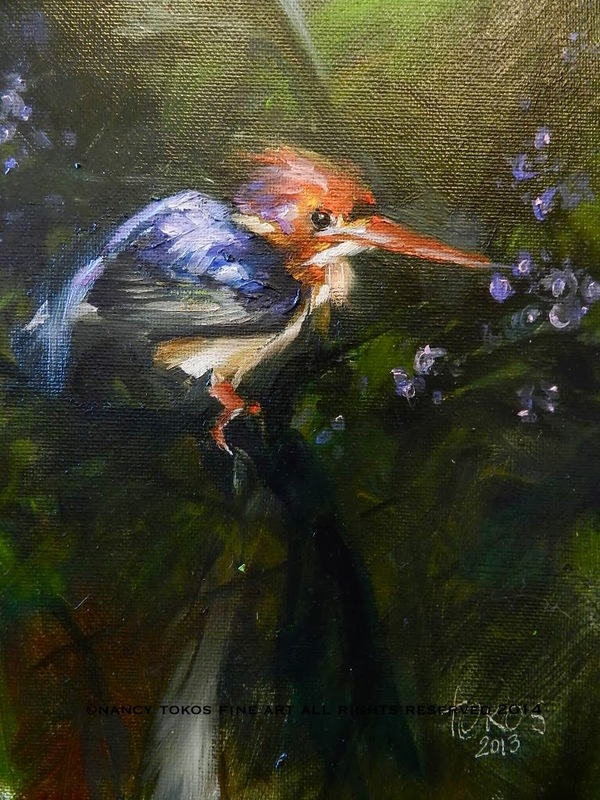 Actually, I don't know which bird this is but the picture turned out and now its an oil painting. Save shipping fee and pick up direct from Portrait4All Gallery in San Diego. Ships within 2-3 days. Shipping will be a separate charge based entirely on your location. "Buy Now" reflects price of painting and California Sales Tax.